This disc is encrypted. The surprisingly elaborate password hint refers to “the CVE Identifier for a 2014 vulnerability that allowed arbitrary code execution in Firefox via a buffer overflow in a speech codec”. 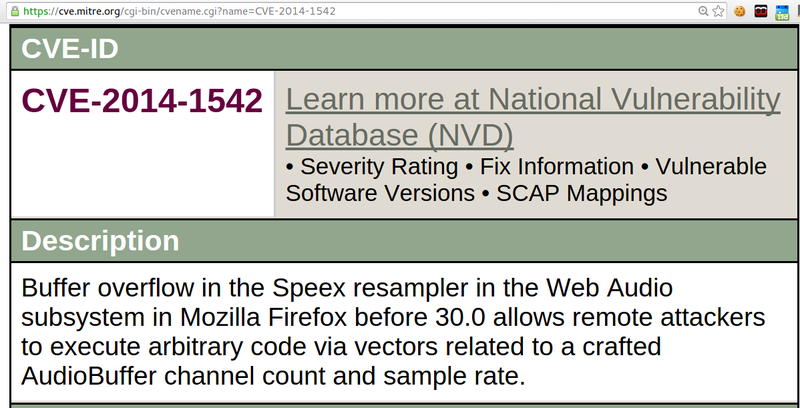 If you found this “CVE-ID” thingy, it’d probably be the password.